Download our business development email database containing business developers’ direct contact information. Our pre-built business development manager email database contains full names, email addresses, phone numbers, mailing addresses, and fax numbers. Use these potential sales leads to bolster your B2B marketing efforts. In the world of business dev., stagnation often leads to failure. It's important for any business to keep growing and finding new opportunities for growth and advancement; that's why the job of a manager of business development is so critical, and why it's important that you contact business development professionals now. Can your business help them make new deals, expand their operations, and foster better B2B relationships? If so, tell them while doing all of the same for yourself: Just use this business developer email list to reach out to directors of business development across the country and market your product. It's easy to contact business development managers when you have so much accurate, targeted contact information right at your fingertips. When you buy our business development mailing list, you'll get the real names, company information, email addresses, phone numbers, and mailing addresses of these valuable sales leads all in one place. Best of all, you can download it in minutes, integrate it into your CRM, and email leads right away! Do you want to specifically target business development managers at smaller businesses or ones in Texas? 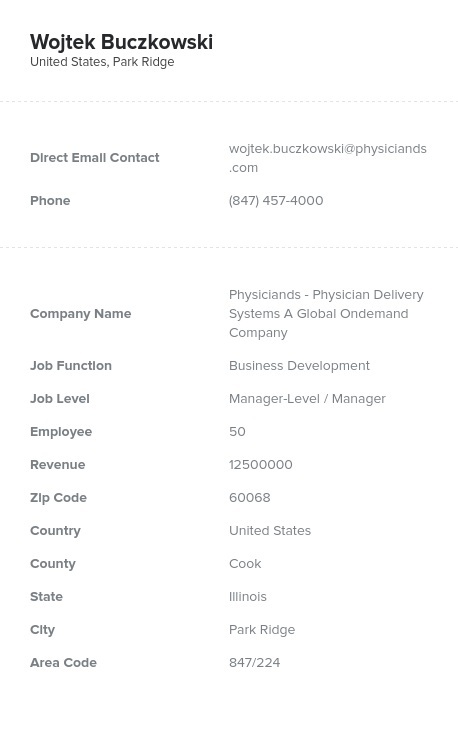 You can also create a customized bulk email list made to include business development managers and directors with our custom list-builder tool. Whatever your niche may be, you can get the business database you need to grow your sales here.